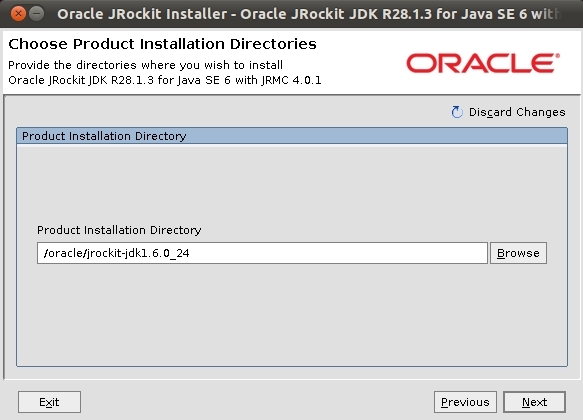 This post will show you how to install JRockit on Ubuntu 11.04. In later posts this will be used to run both WebLogic Server and Oracle Service Bus (OSB). 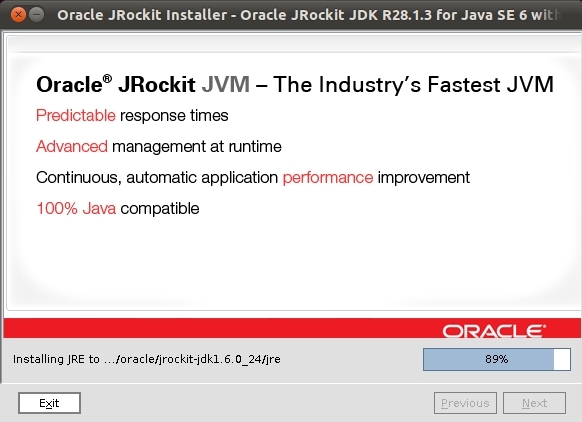 First download the installer from the JRockit download page. Make sure that the .bin file is executable. You can use chmod +x filename to make the file executable. 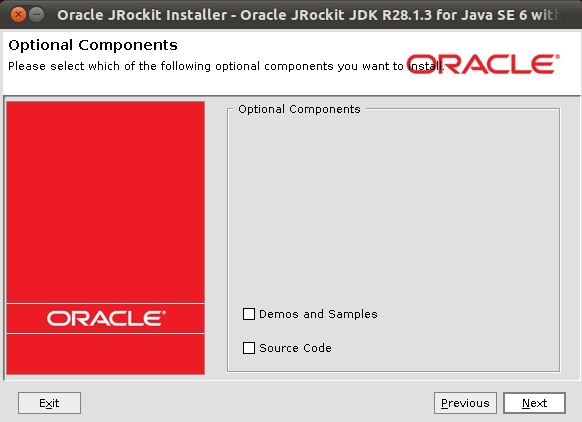 The installation guide for JRockit can be obtained from the JRockit Documentation page. 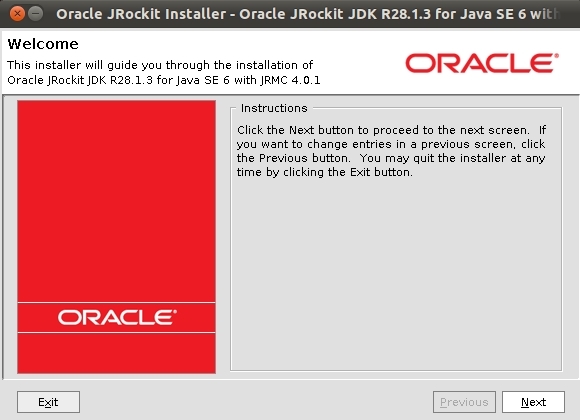 Start the installer: ./jrockit-jdk1.6.0_24-R28.1.3-4.0.1-linux-x64.bin from the directory you download it or copied it to. Extracting can take some time. The installation is complete so press Done. This entry was posted in JDeveloper, Oracle, WLS and tagged Install, Java, JRockit, JVM, Ubuntu, VirtualBox, WLS on 2011/06/08 by PeterPaul.